Over the years, Clay Ketter has abandoned the urge to create a singular sensation in his projects, allowing for a complexity which opens up for ambiguous interpretations. 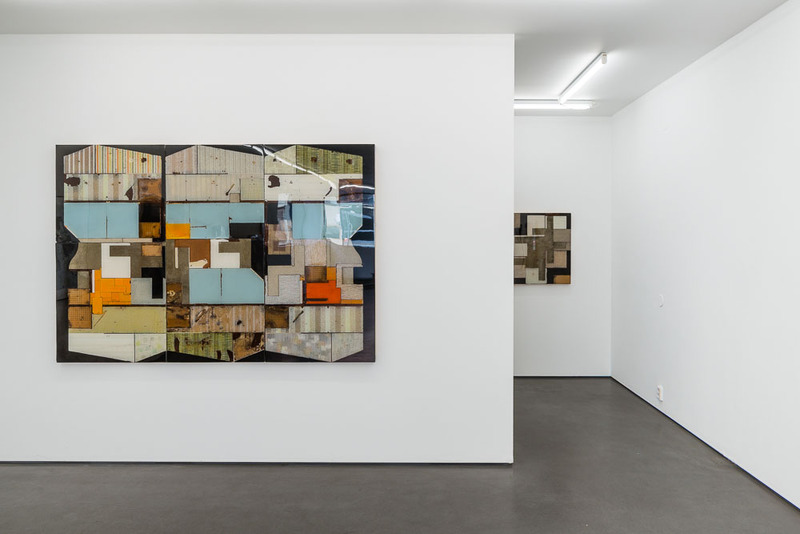 His works are seen as part of a cluster, opposing singularity as a form for presentation. 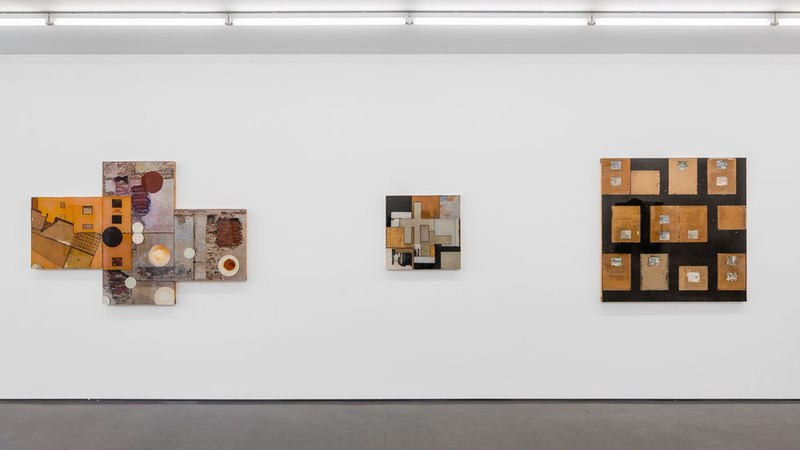 This is also true for the exhibition Scope, Not Scape, which includes paintings/objects and painted photographs, deliberately blurring the border between different media and expressions.Most of the works are collages or assembled compositions. The polished casting resin faces of these pieces serve a purpose of negating the real nature of the composites’ components. What one thinks one sees, and what one sees, vibrate and become an issue for reflection. 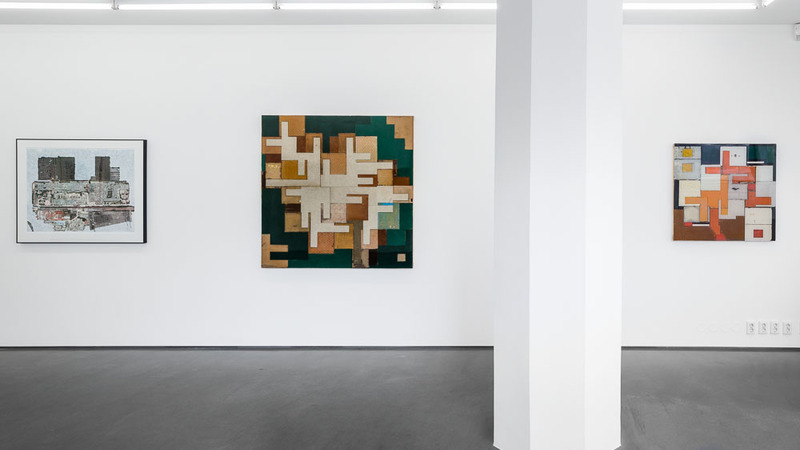 The pieces are first and foremost crafted as abstract artworks, the result of an ongoing practice of picture-making in the studio. 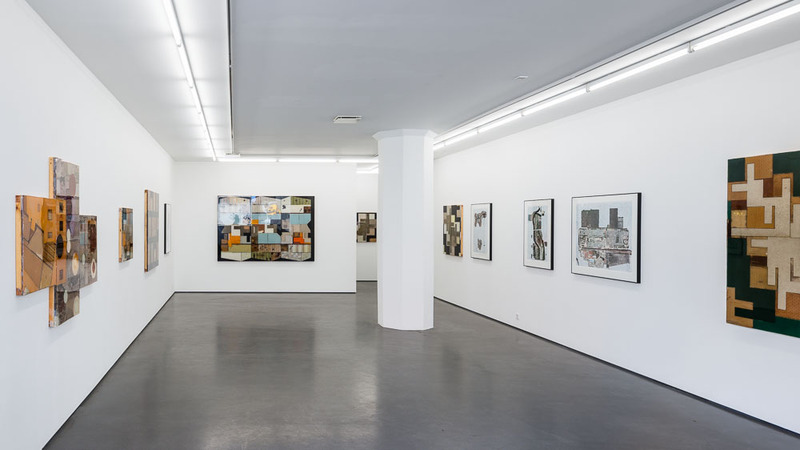 At the same time, Ketter is striving to ”bend” the artwork to the edge of its familiarity, making it estranged, knocking the viewer, at least for a moment, out of their comfort zone of recognition. In the Courtyard series the various components are allowed to mimic, in miniature, architectural scenarios. They form building sections or blocks, allowing for the negative spaces to become passages, alleyways or courtyards, creating claustrophobic labyrinths withouth obvious entrance or exit. In one key piece, Dark Day, press clippings from the 9/11 terrorist attacks form part of the somber assemblage, reminding us of dark moments in the history of mankind. 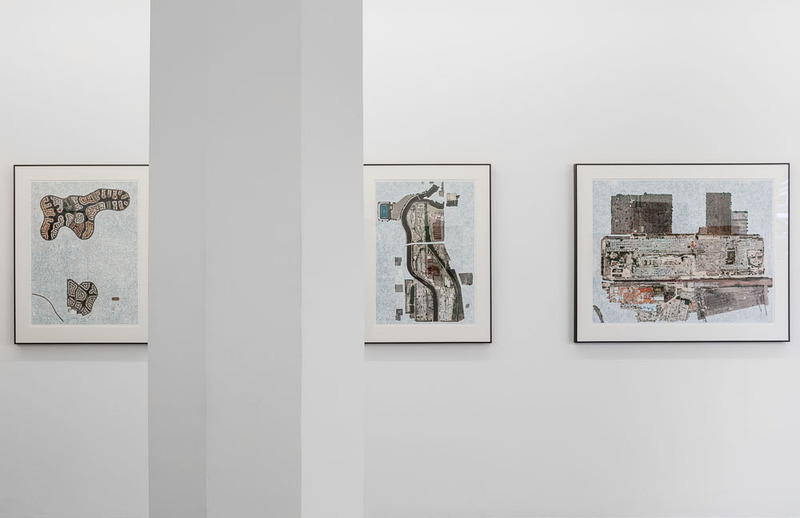 Images of well-manicured neighbourhoods seen from above have been enclosed and cut-off from their surroundings through the use of oil paint in the Reconsidered series. The building up of human patterns is placed in juxtaposition to the aesthetics of deconstruction.